It’s an unlikely marriage of convenience – an institution which purports to be the promise of the Hope of a Better Age, side-by-side the home of the departed. This Halloween, Raffles Press looks beyond the narrow confines of RI’s compound to check out the intersection between space for the living and for the dead. Most of us know that the current site of RI lies on what was formerly the Peck San Theng cemetery, where over 100 000 graves were exhumed between 1982 and 1983. The sole reminder of this netherworldly past is the Kwong Wai Siew Peck San Theng Columbarium, which lies beside our school. Comprising an office block, a memorial and two temples, the site is barely metres away from Block A and B, as well as the S. Rajaratnam Block. Then again, physical space is a concept unlikely to perturb those of the netherworld. Unknown to most staff and students, there is actually a gentlemen’s agreement between the school administration and the columbarium – with regard to the apparent triviality of parking space. During religious festivals like Qing Ming, devotees are allowed to park in the RI compound. 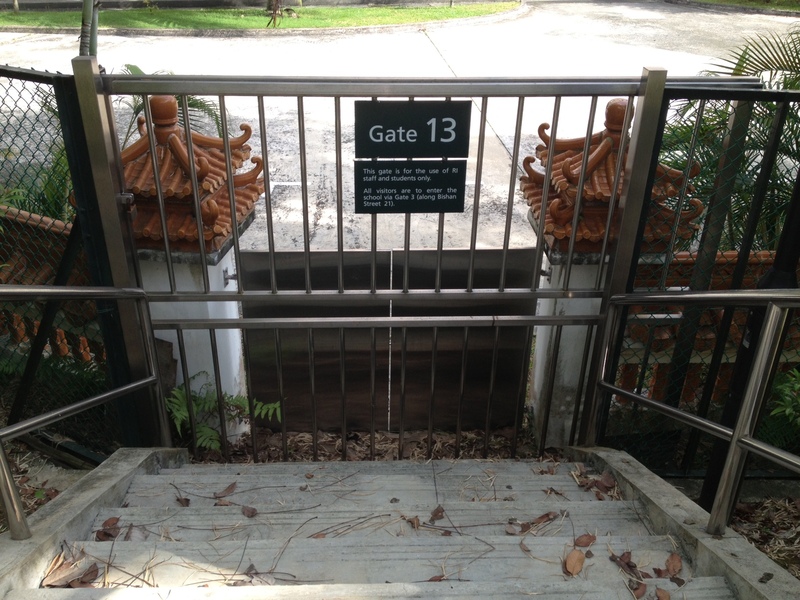 As a result, you will actually find the side gate open for worshipers to pass through. In return, parking slots are reserved for staff members in the columbarium during school functions like Founder’s Day, so that there is sufficient space for the cars of guests and parents on campus. For who, or what, is this gate open for…? In the past, there was also a small zhi char eatery in the columbarium. This was popular amongst many RI staff and students, and it was common for them to bravely trudge over to the columbarium during recess or lunch to escape the long queues in the canteen. During the upgrading works of 2005-2007, when there was no canteen on the Year 1 – 4 campus, the eatery was especially popular. According to old boys Raffles Press spoke to, its signature dishes were fried rice and hor fun. A Geography teacher, who declined to be named, told us that musical groups like the Chinese Orchestra even catered meals from the eatery when they rehearsed late into the night for the Singapore Youth Festival. Unfortunately, the eatery has since closed down “We felt the hygiene standard was not too satisfactory,” the teacher said. Was there a spookier explanation? No one knows, but so far, no replacement has been established. In the heyday of the now-defunct Gifted Education Programme, the Languages department used to conduct an Inter-Disciplinary Special Programme on the site of the columbarium. Presumably, the objective was to help students relate to Chinese culture and traditions. Although the Special Programme has since ceased, RI continues to enjoy the benefits of being next to a columbarium. 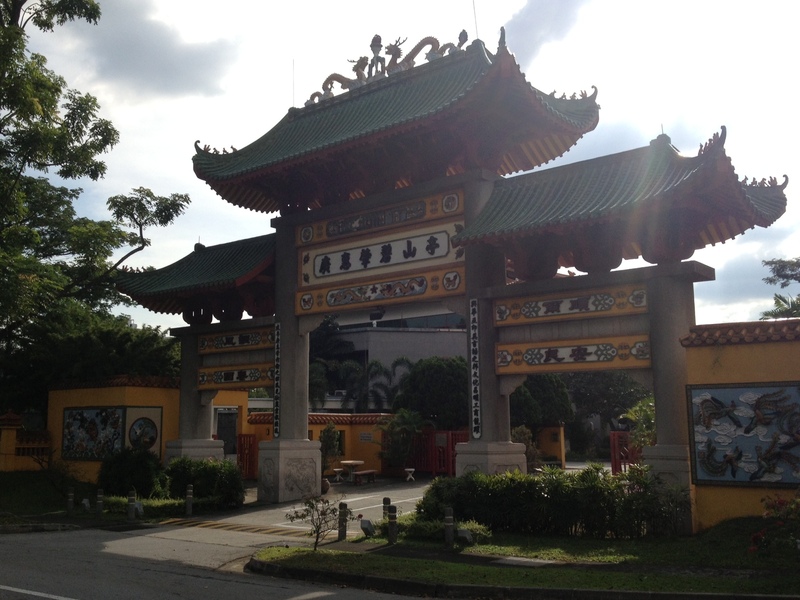 According to the same teacher, “From a Chinese Feng Shui perspective, cemetery ground has good Feng Shui, hence RI should do well.” When Raffles Press made inquiries, it emerged that the ancestoral burial grounds of Peck San Theng are the land of the “sacred monkey playing with the water den”. The water refers to MacRitchie Reservoir, and the subsidiaries of Kallang River. Unfortunately, this comparative advantage is negated by the fact that Hwa Chong Institution lies on a plot of land known as the Earth Dragon (or Affluence Dragon) as well, which ostensibly guarantees that it prospers. Like it or not, the location of RI beside a columbarium is a reminder of the exigencies we face in land-scarce Singapore. While the worlds of the sons of Singapore and the souls of Singapore remain firmly separated by a perimeter fence, it is inevitable that they will overlap from time to time. Even thinkers, leaders and pioneers will end up on the other side one day. 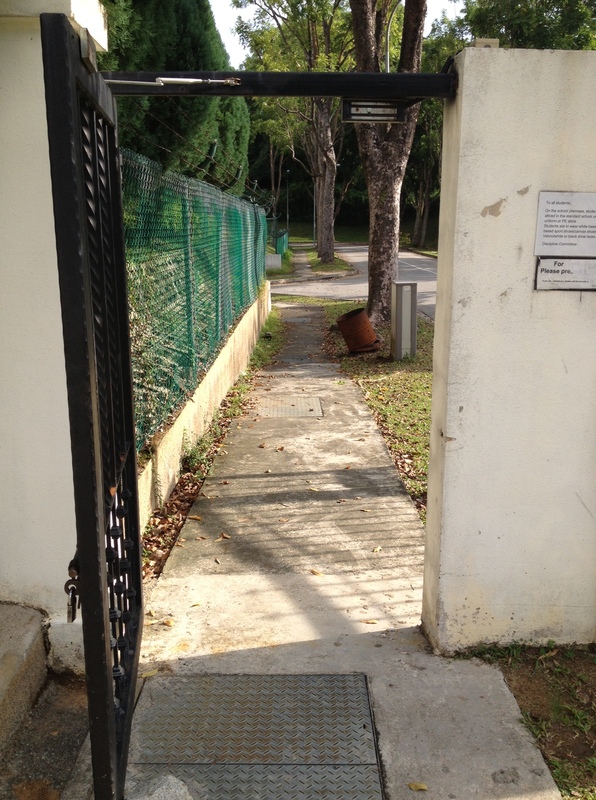 A shout-out to all Old Rafflesians: do you have any stories of your experiences with the columbarium? If so, share them in the Comments section. You can also check out ghost stories on RI at the Raffles Alumni portal. To find out more about the history of the columbarium, click here to visit its official website. Our latest instalment in Please Mind the Platform Gap: a guide to Year 5-6 uniforms for Year 4s! hope your shoutout to, uh, Old, Rafflesians isn’t too successful in getting feedback from the other side.